Mitch McConnell chooses his words more carefully than just about any politician in America. So while he didn't say "nuclear option" on Fox News Sunday, in McConnell-speak he left little doubt that he'd be prepared to employ the tactic if Democrats block Trump's Supreme Court nominee. 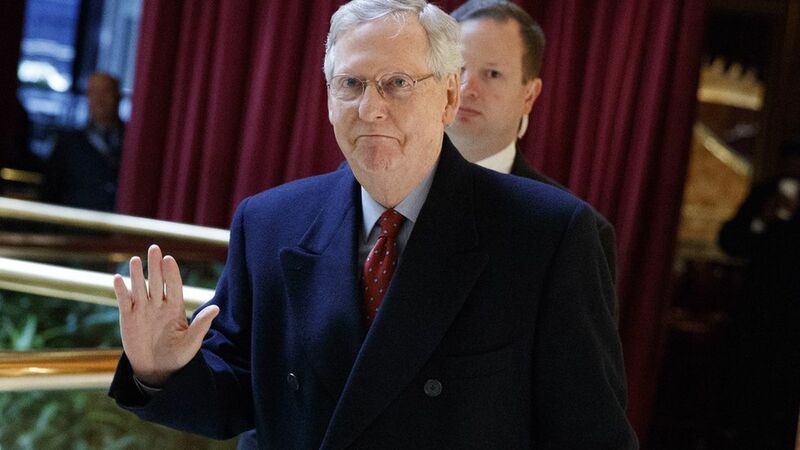 Pressed repeatedly by host Chris Wallace on whether he'd extend the nuclear option to the Supreme Court, McConnell said (twice): "The nominee will be confirmed." McConnell, however, sent a clear signal to Schumer that when push comes to shove, traditions won't win out over political necessity. He may well go nuclear.